Pre-heat oven to 350 degrees. Grease your muffin pans, and set to be side. In a small bowl, mix together your wet ingredients (Apple Sauce, Almond Milk, Mashed Bananas, Vanilla Extra, melted butter), and set to the side. In a bowl, sift together all dry ingredients (flour, baking soda, salt, Cain Sugar). Once all mixed together, combine wet and dry ingredients in a large bowl. You don’t want to over mix, but you don’t want to see dry clumps either. Once you are done mixing, set to the side, and grab your muffin pan and a small ice cream scooper and begin placing mixture in each muffin tin. Fill each tin halfway with banana nut mixture. Place muffins into pre-heated 350 degree oven for 20-25 min. At around 18 minutes, stick a toothpick in to see if they are done. If toothpick comes out clean, they are good to go. If not, let them bake the remainder of the 25 min. Ovens vary based on gas, electric and season, so be sure to keep an eye on how they are rising. 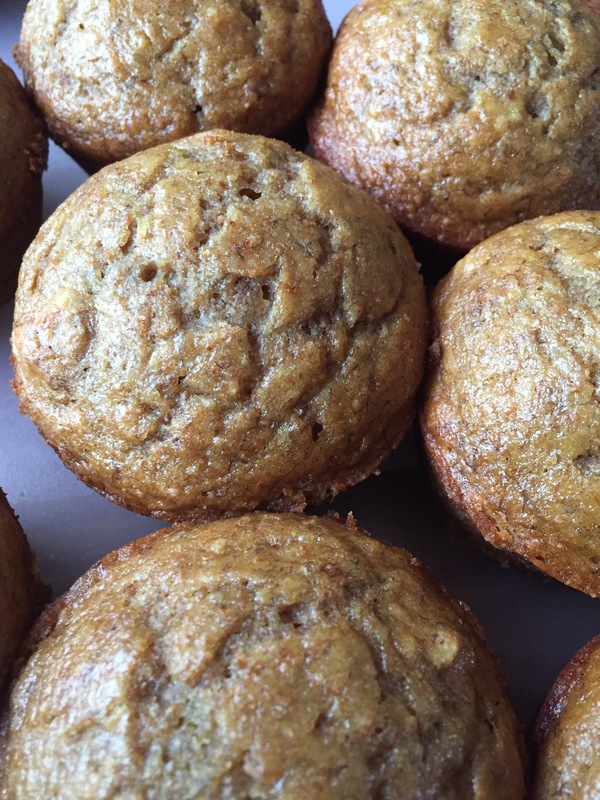 The end result is a good healthy, hearty muffin you can enjoy by itself with a glass of Almond Milk, on the way out the door. 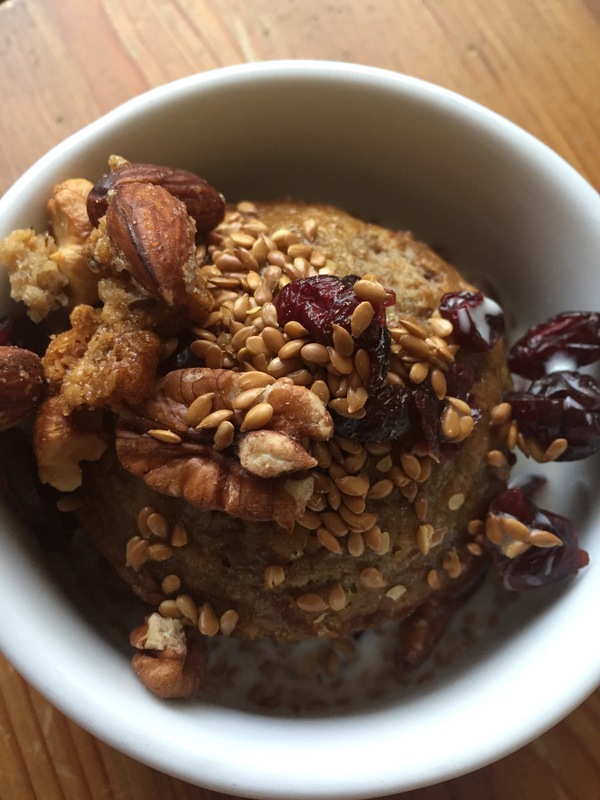 Or dress it up in a bowl to make an nice warm Banana Nut Muffin Breakfast bowl, with toppings of your choice. Either way, you will love this easy morning meal.